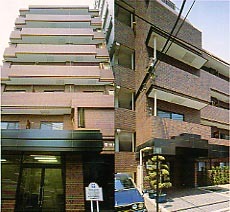 FOYER MONET & MUSSET are located in a convenient area, approximately 8 minutes walk from IKEBUKURO station. FEATURE FOYER MONET & MUSSET are located in a convenient area, approximately 8 minutes walk from IKEBUKURO station which connects JR Yamanote, Saikyo, Takasaki line, Tobu line, SUBWAY Yurakuchou, Marunouchi line, Tobutojo line, Seibu Ikebukuro line. ROOMS All rooms are furnished containing kichenette, refrigerator, air-conditioner, bathroom, closet, and telephone,TV etc. If you have not damaged your room, it will be refunded. Please email to the person in charge.